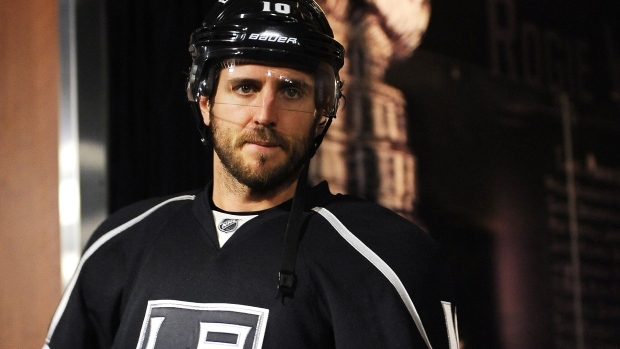 The Washington Capitals signed center Mike Richards to a one-year, $1 million prorated contract on Wednesday. Richards was without a contract and has not played a game this season because of an incident in June. While attempting to cross the Canadian border, Richards was arrested for drug possession. As a result of the arrest, the Kings terminated Richards’ contract, claiming that he had breached the contract; this essentially made Richards an unrestricted free agent. 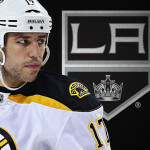 Richards met with the NHL early on Wednesday and received the green light to proceed with his career. Losing center Jay Beagle to a long-term injury last week may have prompted the signing, but the Capitals have had interest in Richards for a while. In fact, MacLellan and Capitals coach Barry Trotz have followed Richards’ situation since the summer, and they met with Richards last month. After all, you can never have too much depth at center in today’s NHL. MacLellan and Trotz also reportedly spoke to former Kings teammate Justin Williams, who signed a two-year deal with Washington this summer. 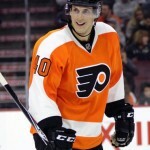 Richards was originally drafted in the first round of the 2003 draft (24th overall) by the Philadelphia Flyers. He is an impressively accomplished player in hockey, something that is often overlooked. For one thing, Richards is the only player in NHL history to play in two separate series in which his team overcame a 3-0 deficit to win the series (the first as a Flyer in 2010 against the Bruins, the second as a King in 2014 against the San Jose Sharks). He also set the record for most 5-on-3 short-handed goals, and is the only player in NHL history to score three such goals. But most impressively, Richards has won the Memorial Cup in junior, the Calder Cup in the AHL, a gold medal in the World Junior Championships, a gold medal in the Olympics and a Stanley Cup (he has two); he is the ONLY player in NHL history to accomplish this. Unfortunately, Richards’ play has declined over the past few years. He found success with the Kings after being dealt by Philadelphia in June of 2011. Richards went on to win two Stanley Cups with the Kings. Though he played a very different role for the Kings than he did for the Flyers, he contributed in the playoffs and helped the Kings win the first Cup in franchise history. Richards should be plenty motivated to come out strong for Washington. His leadership, experience and two-way ability will make him a very low-risk, high-reward move for the Capitals, who are currently the best team in the NHL with 61 points and three games in hand. 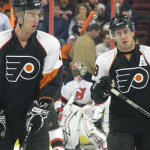 Richards has 482 points in 710 career regular-season games, as well as 87 points in 124 career playoff games, all with the Flyers and Kings.